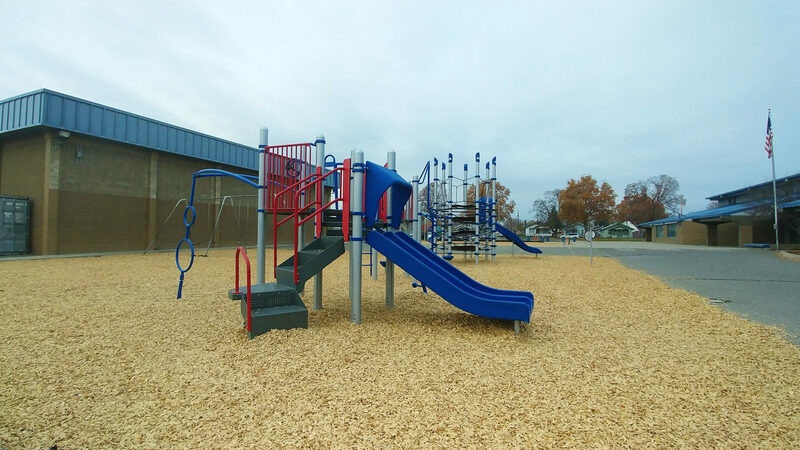 A brand new playground at Adams Elementary in Yakima raises the level of play at recess. A PlayBooster® Netplex® structure highlights the play area. In addition to the Disc Net™ Climber, a Rush™ Slide and Lolliladder™ serve as attachments off the net climber. This playground is especially cool because the Netplex® functionally links to another composite structure. This means kids can go structure to structure without ever touching the ground. In conclusion, Adams Elementary School Playground is just awesome.